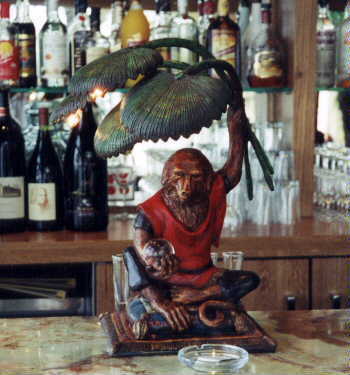 Description: Monkey holding a crystal ball. It features a palm-leaf shade and a crystal ball. Resin & steel. Right & left version.